Solution stand-up time is very fast. Our company's extremely rapid development needs were easily met using the product. Out-of-the-box to a working solution took only days, where some of the other products that were sampled would have taken far longer. I am a Monarch user for several years and switched to Report Miner which is far better than Monarch. ReportMiner can do an amazing variety of things with a scanned pdf. There is a definite learning curve but it does what I need and their support is excellent. Director Product Management, Webs Inc. Product is relatively intuitive to use. Initially, I was given a beta version and had several problems to start. Customer service was good for those issues. Now that we have the workflows defined, things go smoothly. [ReportMiner] is intuitive, and powerful. ReportMiner is being used to digitize a large volume of PDF documents that we receive monthly. Data entry is a tedious, error prone task that takes up too much time. With a program like Report Miner, one is able to save time and also be able to trust quality of the data. Pro Advisor, Troutt Beeman and Co.
We get PDF reports that have one record of information on multiple lines. With ReportMiner we can easily harvest the information we need out of the report and put it in Excel. It is a great product that saves us time. 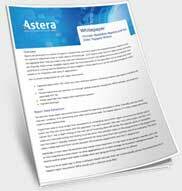 For businesses looking for a full-blown report extraction solution, ReportMiner is an excellent choice. Great Concept, Easy to Use. ReportMiner is a great product. It's extremely customizable to meet many different needs, and customer service has always been outstanding when I've needed help. Excellent Tool! ReportMiner is a very helpful tool, which makes our jobs much easier. We definitely recommend it! I love that I don't have to have someone fully trained in SQL code and SSIS in order to develop high quality solutions. Ease of use, clever transformations and in general Centerprise has a library of transformations that even heavy duty tools like Informatica doesn't offer, such as SCD. You can literally be up and running in a few seconds, with a very low learning curve. It's greatly simplified sharing and synchronizing our data. Centerprise is a real easy and fast tool to get up and running. You can have a dataflow up and running in mere minutes compared to some other tools on the market. The interface is simple and pretty much everything is all in one place. Sr. SW Implementation Specialist, Software Solutions, Inc.
WOW Why did we wait soooo long? Centerprise has reduced our lead time for conversions and increased our efficiencies as a conversion team. BI / DW Architect, Achievers. I love this tool and I believe it has a lot of potential. Even with a market leader like Informatica, the SCD logic has to be manually built. With Centerprise this can be built in just a few minutes, and it impacts every mapping. Our client has a quicker, clearer and trustworthy business financial view enabling them to make well informed financial decisions. The ETL development group is twice as productive. Centerprise Data Integrator is easy to learn and easy to use. 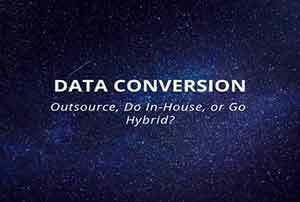 It allows me to move data from one database to another with the click of a button. Speaking from a procurement specialist standpoint, the process of purchasing and obtaining updates for such product has been nothing but positive. Director of Implementation Services/K12 Systems, Inc. Outstanding features and flexibility for many ETL situations. It is an easy product to learn and the user interface provides excellent visibility at all stages of the ETL. A great ETL tool! It works great as a stand-alone desktop tool to quickly transform or check your data. Centerprise has its good parts and its bad parts. It handles basic, simple ETL quite well. The amount of features and abilities cover a wide range of tasks. Centerprise met all our criteria for high development productivity, excellent performance, workflow design, and process automation. I've found Centerprise to be one of the most comprehensive and robust data integration tools in the market. 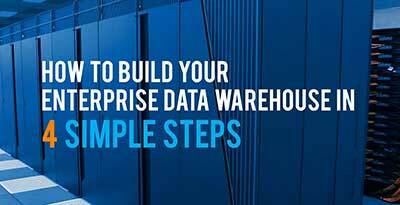 It provides an endless number of great features to address any data transformation need. I wrote a lot of SSIS in the past, and I always dreaded it. Centerprise is a much different experience and makes developing ETL fun. 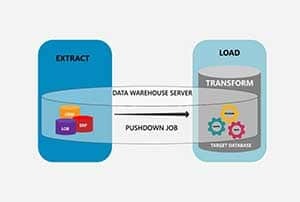 Centerprise has been the essential ETL tool for the past 5 years within our data mapping and conversion teams. Oversees ETL at the Vanderbilt Office of Investments. Director of Implementations at K12 Systems, Inc. Realized huge gains in cost savings and time through ease of use and re-usability.